Martine received her combined JD/MBA degree from Southern Illinois University. Her undergraduate degree in International Business Administration with a French language concentration is from Pace University, New York. 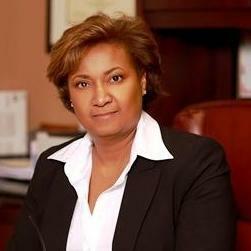 Martine is a partner of Rhode & Jackson, P.C., located in Carbondale, Illinois. She is an experienced attorney providing general counsel services to CEOs and board of directors covering a broad spectrum of industries. Martine provides counsel at all stages of a business cycle - from organization and formation of startups; day to day counsel and governance of emerging or growth companies;to mergers, acquisitions and… read more dissolutions. She represents local and national clients. "We could not thank you enough for being in our corner this past year and guiding us through the process of creating and opening our own medical practice. We could not have made it without you." ""They are highly skilled at what they do and they will fight for you. We are proud to have them as our attorneys.""